Find My Workspace lists over 95% of the serviced offices market in Spring Hill (Brisbane). Simply click Request Quote to check pricing for one office, or Add to Basket for multiple offices. 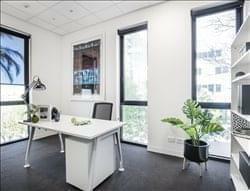 This location in Brisbane offers boutique workspaces that spark inspiration, creativity and productivity. We provide you with all the support you need to build your business from the ground up, perfectly tailored to suit your business requirements. Fully-furnished offices, professional reception services, telephone and internet bundles and flexible terms are all just part of the package available in this modern centre. This multi-use space brings together everything you need under one roof including; 50m Michael Klim designed lap pool, entertainment pavilion, gymnasium, retail precinct, Art Series Hotel, café and restaurant, secure parking (available at an additional cost) and much more. 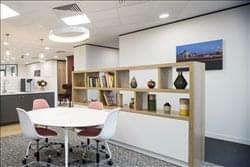 This Brisbane serviced office offers a wonderful mix of inspirational views and excellent facilities over three levels. Full furnished offices, meeting rooms, kitchens as well as other services such as telephone answering, administrative support and reception services combine to make this building a great place to set up offices. As well as this, virtual office and flexible leasing terms are available. A well created range of serviced workplaces that help professional companies succeed. Work alongside like-minded people and companies in elegant spaces that will impress your clients. Flexible options are on offer and provide you with a full range of services, amenities and facilities so you can focus on your business practice. Meeting clients? Whether you require an small intimate setting or a large space for a presentation or seminar there are a variety of meeting spaces on offer at competitive rates. With on-site IT support, dedicated administration services, and accounting and marketing support when you need it, you are more than able to leave the stress to the professionals and concentrate on what you do best. To obtain information for your selected Spring Hill (Brisbane) Serviced Offices, please tick the "Add to basket" box for each office you prefer and complete the form below. We will then send a detailed report via email.